The Nativity Church in Bethlehem is located over the cave that has been recognized from mid-second century as the place where Christ was born. The history of the building is known only partially. A first Basilica was erected in the 4th century, under Emperor Constantine and remade during the empire of Justinian, 6th c. The earliest mention of the existence of mosaics in the Basilica appears in some rather ambiguous texts of the 9th c., which refer to the mosaics representing the Nativity of Christ in the underground cave and the “Adoration of the Magi” on the front of the building. Since the 14th c. the descriptions of pilgrims stated that the building was by far the most striking and beautiful one in the whole Holy Land [Bacci 2012]. An extensive mosaic programme decorated the walls of the Nativity Church. The upper portions of the walls were embellished with representations of the Tree of Jesse in the counter façade (western wall), the Annunciation in the triumphal arch and the “Virgin Mary with Child” flanked by “Abraham and David” in the apse. In the nave, the provincial synods of antiquity (northern wall), the seven ecumenical councils (southern wall) were accompanied by Christ’s ancestors and decorative bands. In the upper part, around windows, full figure images of angels were displayed, while a selection of Gospel scenes were represented in the transept. In the cave, the mosaic surface seems to have extended not only to the small apse of the niche of Christ’s birthplace, decorated with the Nativity scene, but also to the vault of the cave [Bacci 2015]. The Basilica went through a series of events along the centuries, often complicated by the antagonism between the three religious communities ruling the holy site (Orthodox, Catholic and Armenian) and by the long Mamluke and later Ottoman dominations. The first references to a decay of the mosaics date back to the 15th c. Starting from the 17th c. visitors were unanimously disappointed by the decay of the building and of the mosaics. At the end of the 18th c. some remnants of the Tree of Jesse were still visible and the mosaics of the central apse had disappeared; the mosaics of the transept, of the nave and of the triumphal arch were still largely preserved, albeit in bad conditions. The Basilica was refurbished in 1842 in the one which has been transmitted up to 2013 [Bacci 2015]. Of the original mosaic program only remnants are preserved today. Some portions of the ecumenical councils (southern wall) and more important remnants of the provincial synods of antiquity (northern wall) in the nave. On this wall some angels in the upper part between the windows have survived. Some Gospel scenes are preserved in the northern-eastern and southern-eastern walls of the transept, and rests of the mosaic of the vault in the cave. 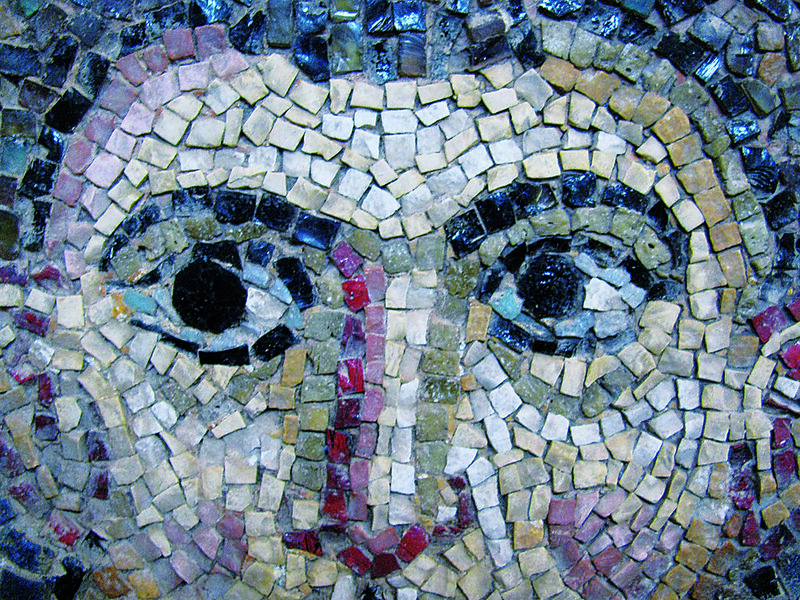 The attribution of the mosaic decoration of the Basilica has been discussed with different conclusions. In the Late Middle Ages the mosaics were thought to date back to Constantinian times, or they were attributed to the reconstruction of the church building made by the Byzantine Emperor Justinian in the 6th c. It was only in the late 17th c., on the evidence provided by the dedicatory inscription in the apse that the decoration was attributed to the Crusader period, around 1160 (probably between 1167 and 1169). According to the latest studies the complete mosaic decoration would have been accomplished by a team of Greek and Arab-Christian mosaicists headed by a certain master Ephraim under the patronage of the Byzantine emperor Manuel Comnenus, the king of Jerusalem Amalric Ist and of the Latin bishop of Bethlehem Roul as attested in a dedicatory inscription in the apse [Bacci 2017]. This dating was debated in the 1930s by Henry Stern, who identified two different decoration phases: the transept and the southern wall mosaics were to be considered as belonging to the 12th c., while the northern wall mosaics of the nave were to be dated back to the beginning of the 8th c. [Stern 1936]. These conclusions were questioned by other scholars claiming that the mosaic decoration was made in a single campaign which probably began in the mid-1150s and was over by 1169 [Kühnel 1988]. Stern’s conclusions about the early date of the mosaics of the northern wall of the nave have been challenged also in recent times [Folda 1995]. A restoration campaign of the Nativity Church was entrusted by the Palestinian National Authority to the Italian company Piacenti. The restoration began in 2013, after thorough investigations carried out by restorers, architects, art-historians, archaeologists and scientists coordinated by Prof. Claudio Alessandri (Ferrara University, Italy). A specific issue of the “Journal of Cultural Heritage” has been devoted to the results of the investigations (“Journal of Cultural Heritage”, XIII, 4 supplement 2012). 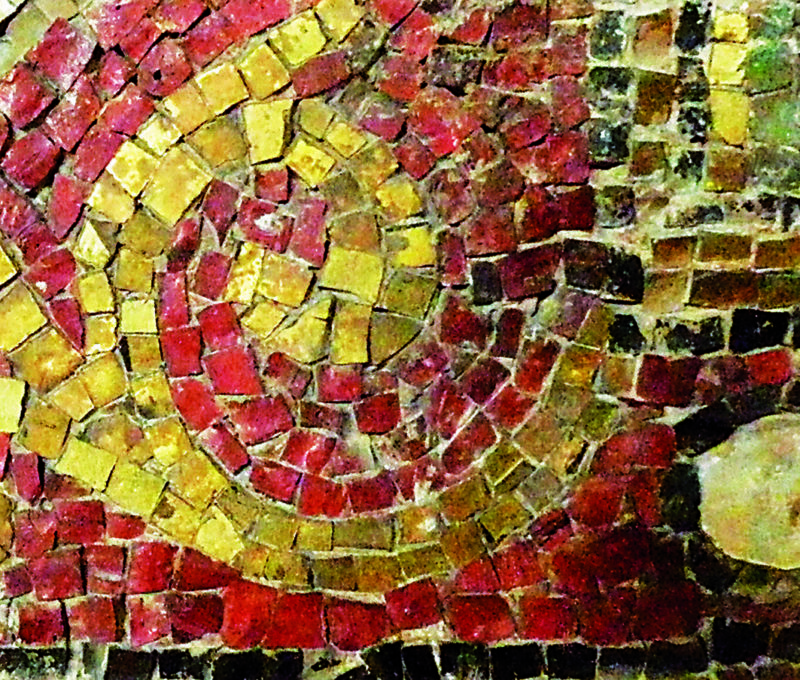 Not least, the restoration made it possible to study the mosaic glass tesserae. The aim was to ascertain the quantitative chemical composition of the glass and pigments, and identify the colouring and opacification techniques. These data were then compared with the analyses of glass tesserae belonging to other mosaics in the attempt to establish provenance and dating of the tesserae. The various hypotheses proposed as to whether the mosaic decoration was accomplished in a single time interval or in different periods were also evaluated on the base of the analytical data. Questo elemento è stato inserito in Arte/Art, Restauro/Restoration/Conservation. Aggiungilo ai segnalibri.